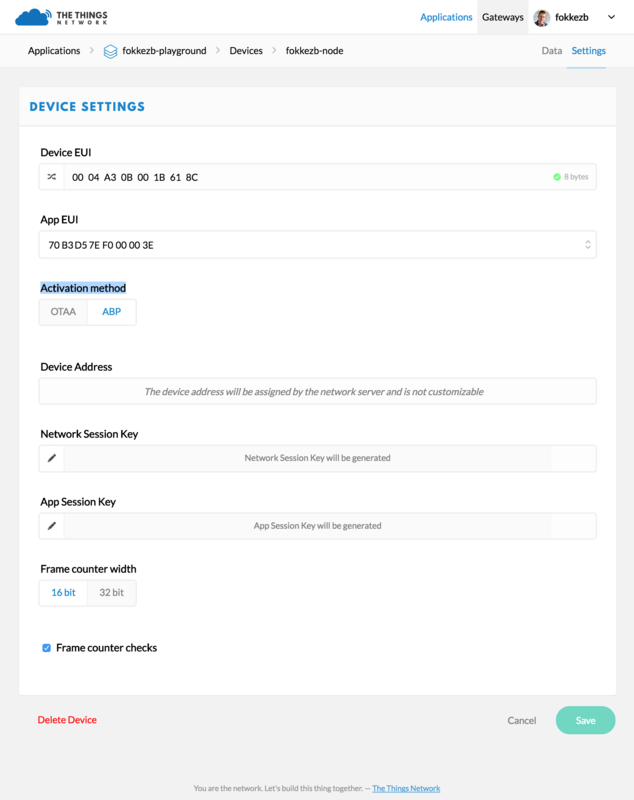 Before a device can communicate via The Things Network you need to register it with an application. 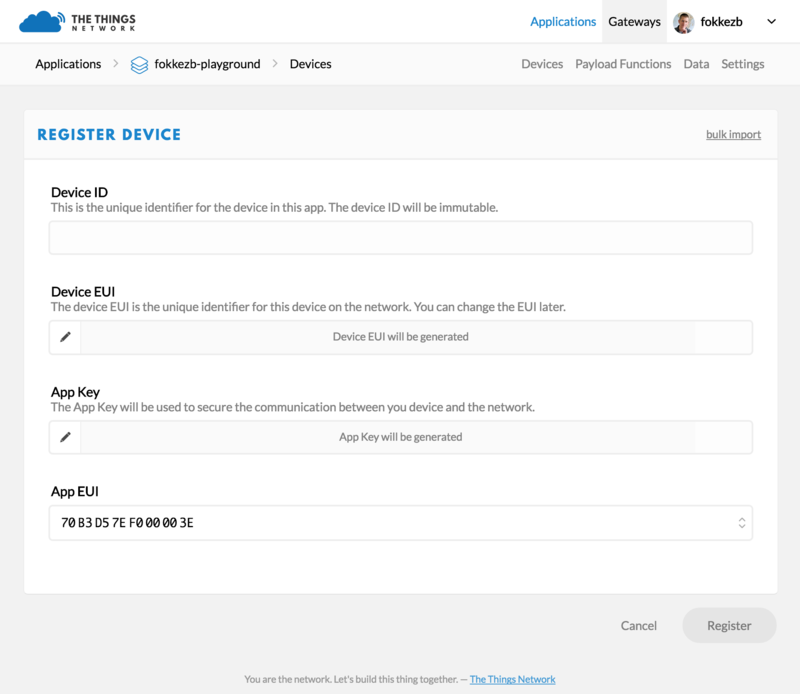 To use the default Over The Air Activation (OTAA) you will need to register your device with its Device EUI. See the documentation of your device for instructions, as for example that of The Things Uno. Log in and open the Console. If you don’t have an application yet, you need to create one. For more information on how to do this have a look a the Applications section. Open the application to which you wish to add a device and click register device. For Device ID, choose a - for this application - unique ID of lower case, alphanumeric characters and nonconsecutive - and _. For Device EUI, copy-paste the one you retrieved from your device. You will be redirected to the newly registered device where you can find the generated App Key needed to activate the device. Normally, you’d use Over The Air Activation (OTAA) to negotiate session keys for further communication. You have the option to personalize a device, which means you will generate or assign session keys manually and use hard code them on the device. For Activation method, click ABP.